We would like to thank Mosaic Church Ocean Springs for their donation to purchase our new sign. Volunteers In Medicine Gautier, a non profit organization, is part of a national alliance of free clinics working throughout the country for the working uninsured. 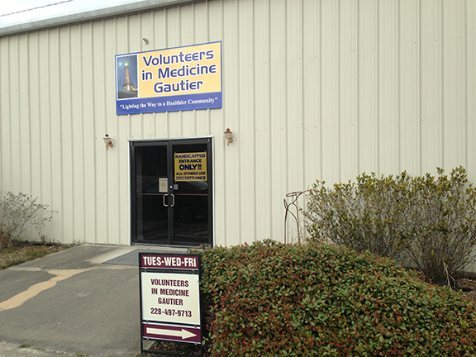 The Volunteers in Medicine Gautier Medical Clinic was established to provide free medical services to uninsured individuals and families, who would otherwise be unable to afford them. The Clinic is made possible by the generous commitment of nearly 100 lay and professional volunteers who contribute their time and skills to help others. We are partnered with Singing River Health System and Abundant Life Christian Center in order to best meet the physical and spiritual needs of our patients. 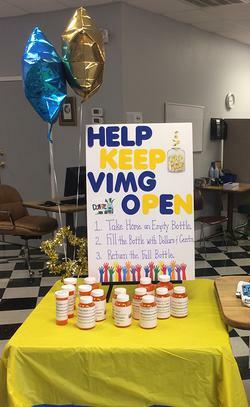 We wanted to thank our faithful patients who have participated in our Medicine Bottle Fundraiser.This fundraiser has allowed our patients an opportunity to give back to their free healthcare services and help keep our doors open! If you would like to participate in this fundraiser, stop by the clinic and pick up an empty medicine bottle.